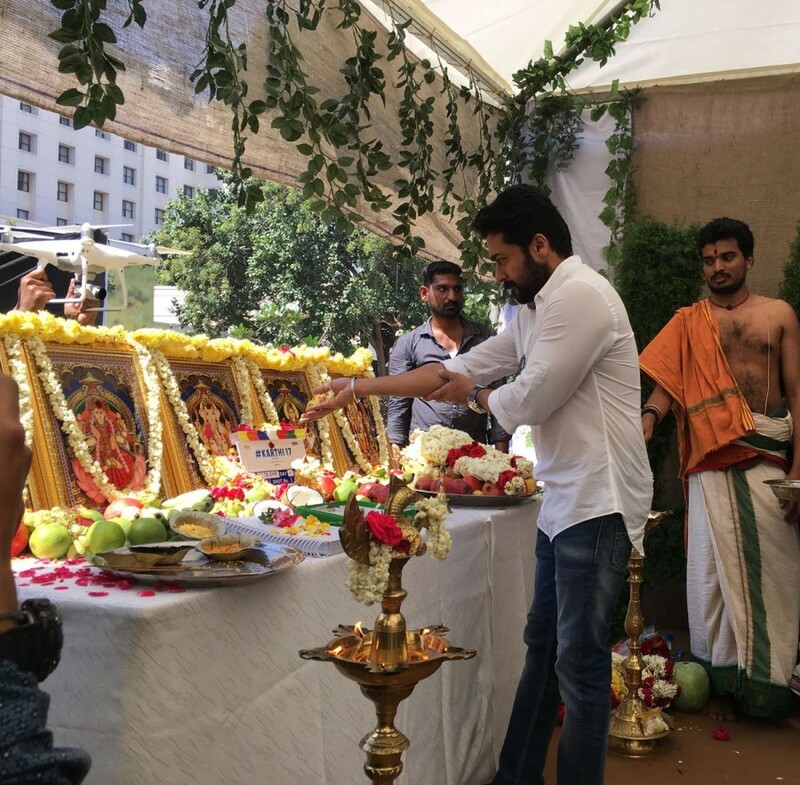 Suriya gives his blessings at Karthi17 pooja. 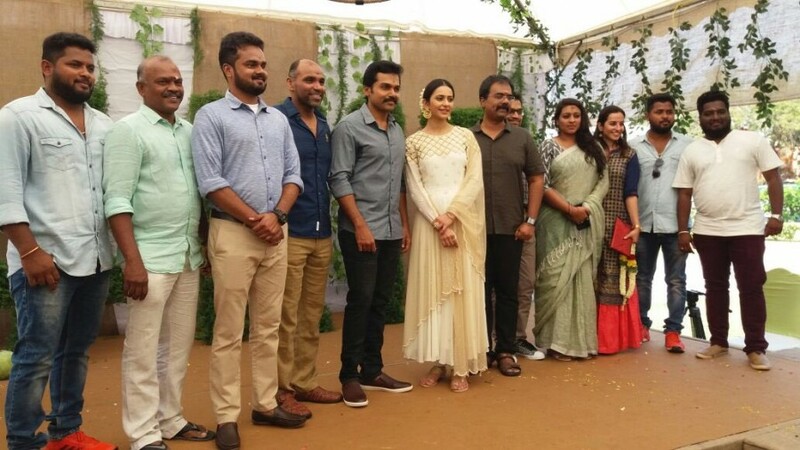 Suriya launches Karthi-Rakul Preet new movie in Chennai. Sivakumar and others graced the event. Karthi's new movie produced by Prince Pictures along with Reliance Entertainment. Karthi's new movie directed by Rajath Ravishankar. Rakul Preet will pair with Karthi in his new movie.